Hydraulic fracturing could have delayed adverse affects on society. Fracking continues to become more controversial around the world and it is not only environmentalists who are worried about the negative effects this oil and gas extraction process will have on people and the environment, because according to a recent report from the UK government’s Chief Scientific Advisor, Mark Walport, hydraulic fracturing carries potential risks that could be as damaging as tobacco, thalidomide and asbestos. Technological advances and innovation need to be assessed fully before they are approved. Fracking for shale in the UK has received strong support from the government. Although the gas extraction technology has been developed to assist oil companies in the removal of gas from shale rock deep underground, the report is concerned that such innovation may cause more harm than good. In the Annual Report of the Government Chief Scientific Advisor 2014. Innovation: Managing Risk, Not Avoiding It. Evidence and Case Studies, it was said that although such innovations and technological advancements should be welcomed, they first need to be fully evaluated. Some believe fracking could be safe with the proper regulations. A spokesperson for the Royal Academy of Engineering said that the risks of hydrofracturing are extremely low. If the mining process was carried out to the “highest standards of best practice”, the spokesperson said, environmental contamination risks are very low. The spokesperson added that drilling, casing and surface operations carry the most risk and not the actual fracturing. The Royal Academy of Engineering produced a report on shale gas with the Royal Society in 2012 that concluded if properly regulated, hydraulic fracturing could be safe. 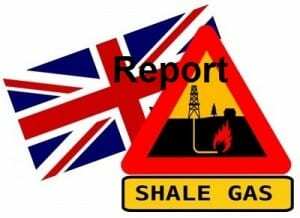 However, Louise Hutchins, Greenpeace UK’s energy campaigner, commented on the new report and told The Guardian that chief scientists are warning their own ministers that there isn’t enough knowledge in regard to the possible side effects of fracking to be able to trust that it is safe.